He was recently the scorn of Sir Alex Ferguson, but David Beckham is looking at life through a different lens - literally. 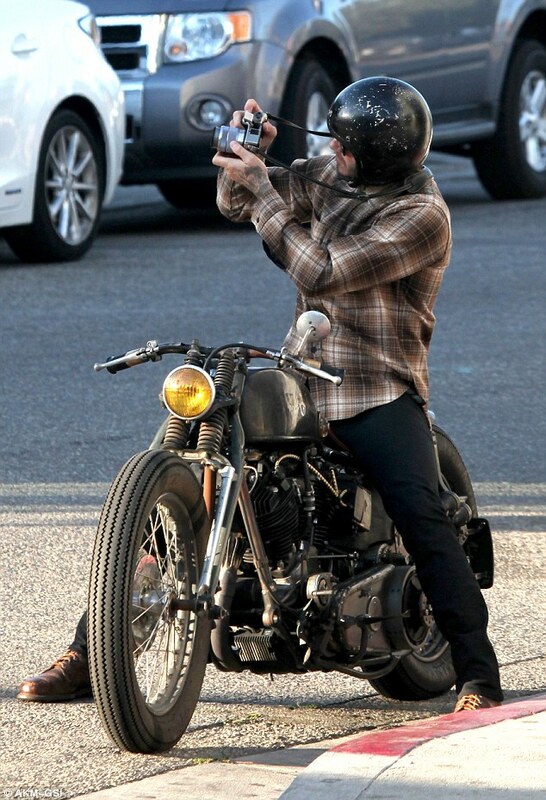 The football star, 38, was seen taking photographs while sat on a motorcycle in the Venice Beach area of Los Angeles, yesterday. 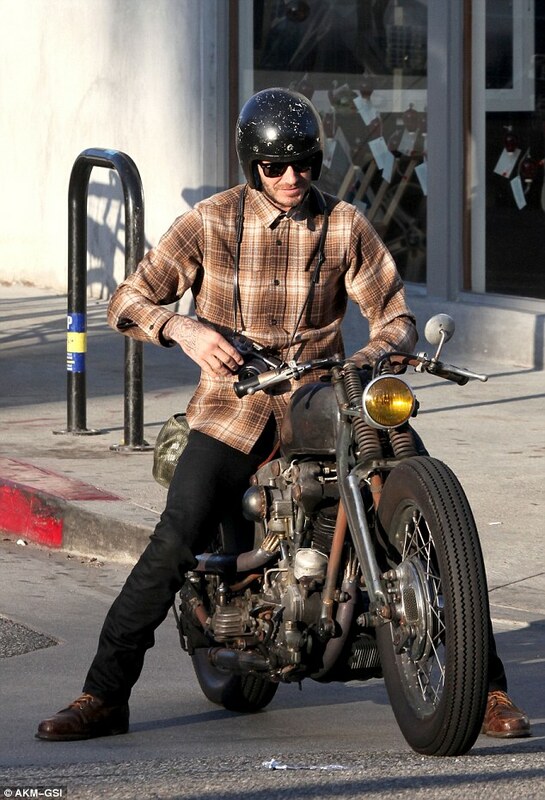 Wearing a plaid shirt with indigo jeans and a black safety helmet, the brooding model captured images on his personal camera during an afternoon of riding the city's streets like a local. 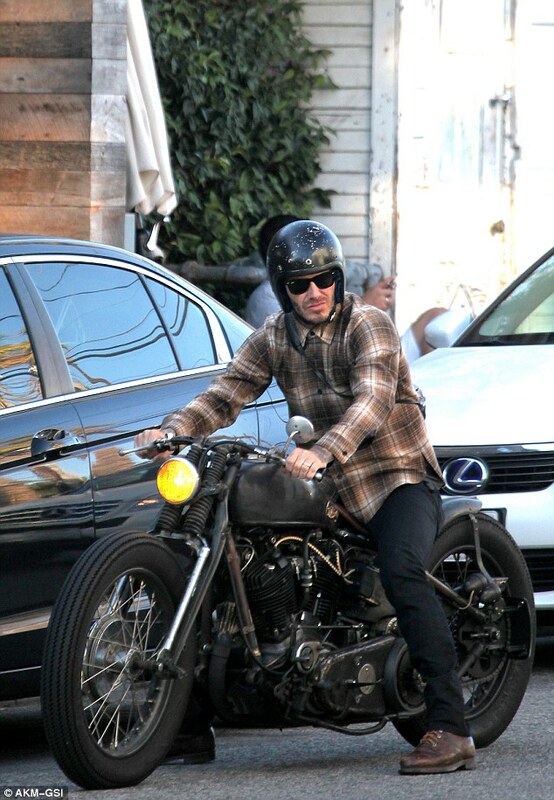 The father-of-four looked every inch the rugged hero as he navigated the city in style. The casual biker look was a dramatic departure from just 24 hours earlier when the former England captain and his wife Victoria, 39, attended the CFDA Vogue Fashion Fund Awards dinner in black tie. Hosted by Vogue editor-in-chief, Anna Wintour, the event is known as a a who's who of Hollywood and American fashion. Guests included Reed Krakoff, J.Crew's Jenna Lyons and Neiman Marcus fashion director Ken Downing, all judges in this year's competition. Meanwhile, David’s former manager Alex Ferguson, 71, has recently claimed in his new autobiography that when the footballer met and fell in love with Victoria he 'took his eyes off football'. He claims that Beckham 'wasted' his career by joining LA Galaxy in 2007 from Real Madrid, the Spanish club that bought him from United in 2003. 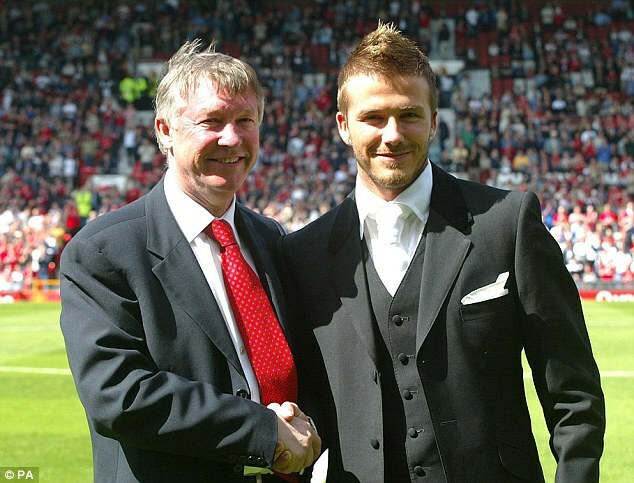 Beckham, who retired in May, was the first English player to win league titles in four countries.